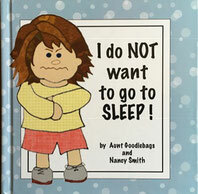 I do NOT want to go to Sleep- Book - Aunt Goodiebags! You can purchase this book in our online store! I had an eBook version available in the iBooks bookstore. I just found out that a newer version of iBooks made some of the audio do strange things. 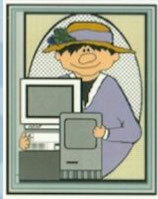 <-- Clicking on the book image will take you to a place where you can read the eBook online (for FREE). The eBook was made using Book Creator (such an amazing program!). The animation/video at the end was made using HyperStudio (another amazing program!) and iMovie. 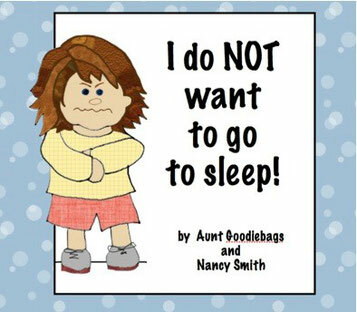 I found an old version of the eBook in one of my digital libraries and was so happy that our grand-niece Marissa's original 6 year-old voice was still intact! Once I get the iBook version working again I will probably take down this link. So for now-- ENJOY!